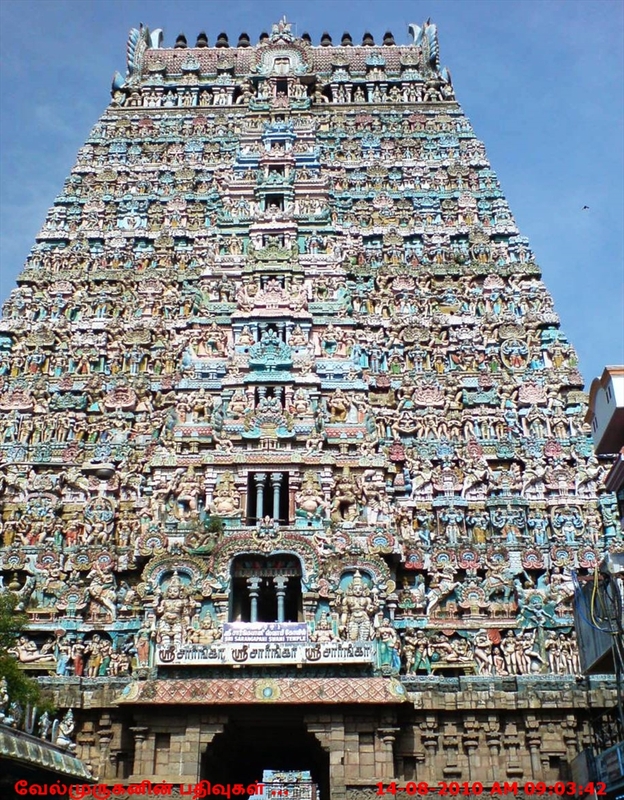 Sarangapani Temple is a Hindu temple dedicated to Vishnu, located in Kumbakonam, Tamil Nadu, India. It is one of the Divya Desams, the 108 temples of Vishnu revered in Nalayira Divya Prabandham by the 12 poet saints, or Alwars. This temple is situated in between the rivers,the Cauvery and the Arisolar. 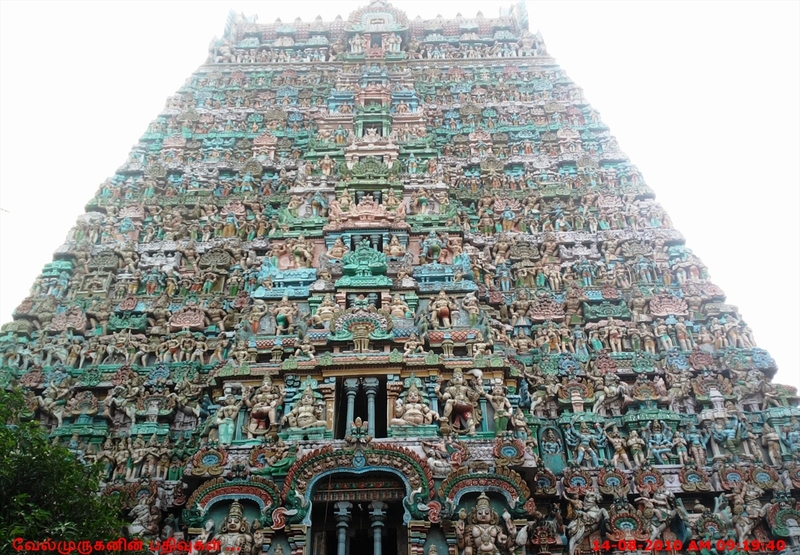 The temple is believed to be of significant antiquity with contributions at different times from Medieval Cholas, Vijayanagar Empire and Madurai Nayaks. The temple is enshrined within a huge granite wall and the complex contains all the shrines and the water bodies of the temple. The rajagopuram (the main gateway) has eleven tiers and has a height of 173 ft (53 m). The Potramarai tank, the temple tank, is located opposite to the western entrance of the temple. 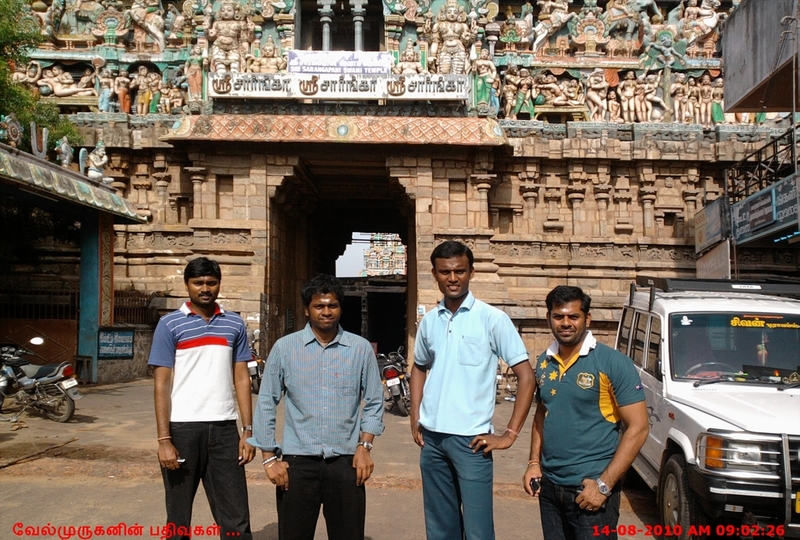 This temple is one of the 108 Vishnavaite temples, third in order, next only toTirupathi and Srirangam. The Presiding deity is Sri Sarngapani Swami. Sarngam = bow pani=hand. The deity is having a bow in the hand. 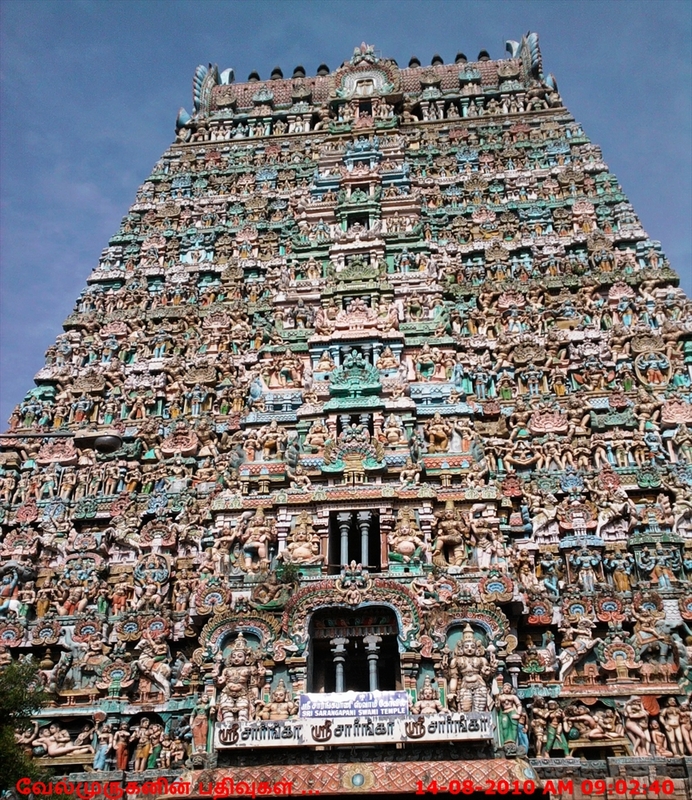 The rajagopuram (the main gateway) has eleven tiers and has a height of 173 ft (53 m). Mangalasasanam: Total - 51 Paasurams. Sri Aandal - 1 Paasuram. Thirumizhisai Alwar - 7 Paasurams. 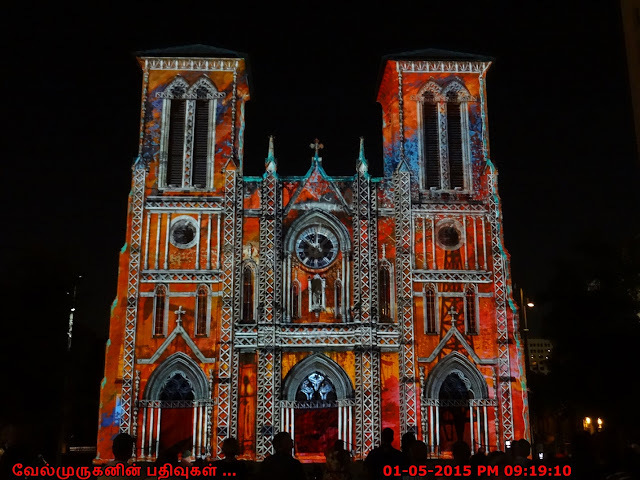 How to Reach : Sarangapani Temple is 2 km away from Kumbakonam Bus Terminal. The bus stop name is ucchi pilaiyar kovil in Tanjore Road. The bus stop is very near to Temple. There are lot of town buses / autos available for this temple.